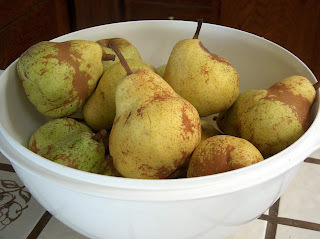 queen of the castle recipes: Julia Child's Pears . . .
Lynn - tears are rolling down my face - I think this is your funniest post yet. 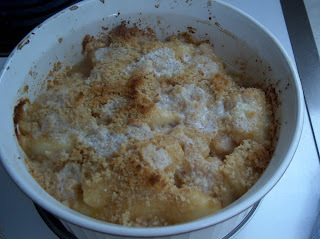 BTW, the gratin looks lovely. And buttery. I've just gotta go see that movie! I've heard so much good about it. :) What fun that you and your mommy got to have a dinner party! Isn't it neato having a mom to share your love of cooking with? This dish looks scrumdillyicious. Yes, that's a word. Maybe not a "legal" one. But it's a word. Just ask me. LOL! 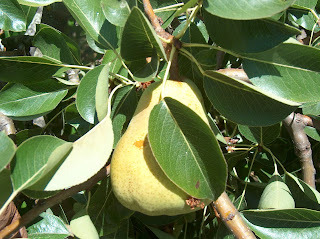 I love to make fresh fruit jams, you should definitely make some pear jam. This recipe sounds so good !! I love pears. 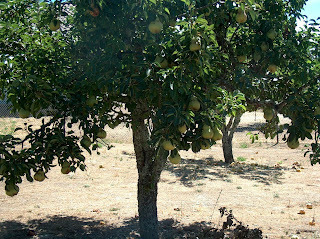 I would love to have a pear tree, but, alas, it would never grow here. 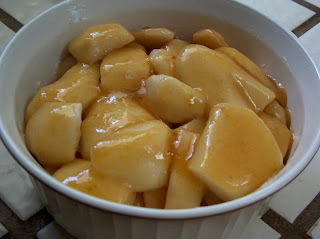 Instead, I will haul myself over to Sprouts and get me some California pears so I can make this. It looks delicious!! Thanks for sharing. Thanks for visiting my blog! Your post made my day...very funny and delicious looking too! I haven't seen the movie yet...but it's on the list for sure. I definitely be visiting again. I loved the book, but I have yet to see the movie...maybe this weekend! 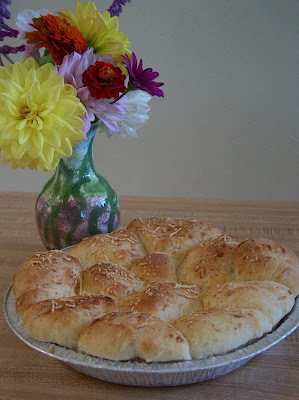 This recipe sounds great, and a Julia-inspired dinner party sounds fantastic! That looks wonderful... and unlike most food lovers.. .I have yet to see the movie!! I want to. Just haven't been able to wrangle time away from the 2 yr old to do it. And unlike some people, I won't take a small child to an adult movie!! Glad you enjoyed it and thanks for sharing your pear cooking adventure with us! Hope you will stop by and visit my new Christmas blog. oh how fun! i have never tried any of julia's recipes, and for shame, i haven't even seen the movie! the pears look magnificent though! That looks...beyond amazing! Thanks for stopping by my blog! I'm going to follow you! I love your blog! Awesome!! 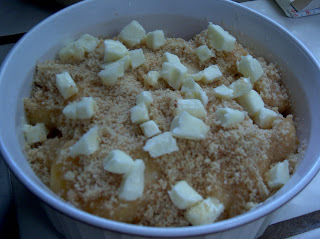 I totally want to have a Julia dinner party...sounds like an awesome time :) Your pear dish looks delicious! 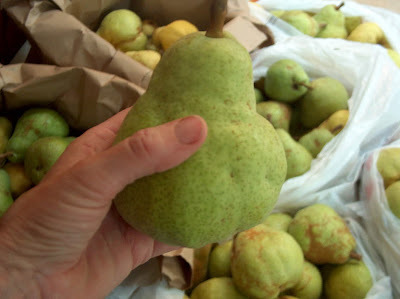 You are just too funy and your Julia Child Pears came out beautifully. I'd love to be a guest at your mother's dinner party!!! sounds like a great idea to have a julia party. very cute. Love the pears! I think I'll put Julia's book on my Christmas list. This sounds fabulous! LOL, I like the additional commentary during your recipe instructions! Oh how I love to pick my own fruit! I just adore the experience, it make me feel so much more connected to the food. I haven't seen the movie yet, but I love both actresses, so I'm sure it'll be great! Awwww...how sweet that your mother threw a dinner party in honor of Julia :) I LOVED the movie also and have been seriously thinking about purchasing her cookbook as well. This dish looks amazing! Loved the movie, too. The next day I got my book out and made the boeuf bourguignon. Very good, although I didn't use as much wine as the recipe calls for. Next time, I will add more carrots. The carrots tasted better the the beef!! It took some time, but I think if I were to make it more, it would go faster and easier. 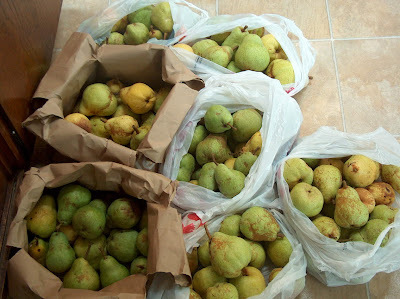 I will have to try the pears soon. That looks good. What a yummy dish. Thanks for posting this. I have little imagination with pears. 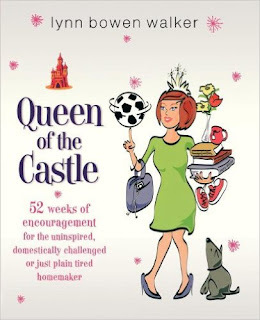 Thanks for visiting the blog and commenting on my book reviews... You sound like a lady right up my alley! The Julia Party sounds so fun!!! I will have to think about it!